Dustin Johnson and his brother/caddie Austin might be allergic to stairs. Some things just don’t mix well together. Oil and water. Toothpaste and orange juice. The Johnsons and stairs. 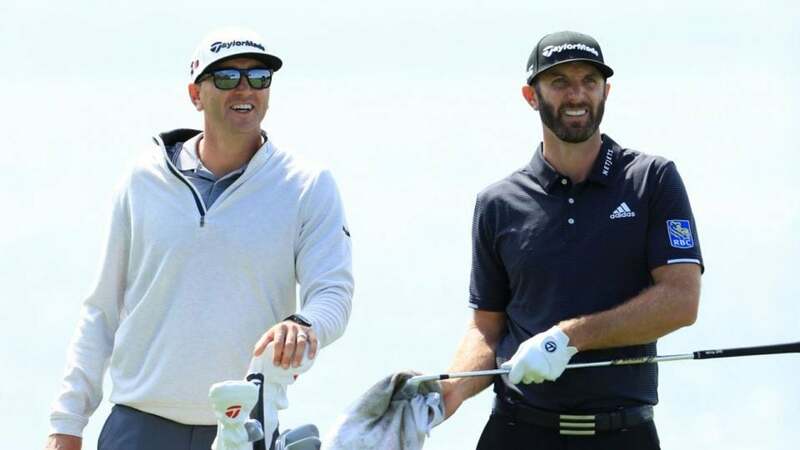 A couple of years after Dustin Johnson suffered a back injury after slipping and falling down a flight of stairs in his Masters rental house, his younger brother and caddie, Austin Johnson, stumbled on a staircase in their rental house in Ponte Vedra Beach on Sunday night, breaking a bone in his left hand. While Dustin’s injury forced him to withdraw from the Masters, Austin’s injury seemingly will not keep him off the job. Though his arm is in a cast and his shoulder in a sling, Austin is still expected to caddie for his brother at the Valspar Championship this week. The 20-time PGA Tour winner was able to make light of the situation and his brother’s shared connection of succumbing to a staircase. “He had a bit of a run-in with a pair of stairs, kind of like I did,” Johnson said on Wednesday. “Those stairs, man, they’ll get you. DJ is coming off a T-5 finish at TPC Sawgrass. Johnson, who last won on Tour in February at the WGC-Mexico Championship, is the favorite to come out victorious this week at the Valspar on the Copperhead Course at Innisbrook Resort & Golf Club in Palm Harbor, Fla.